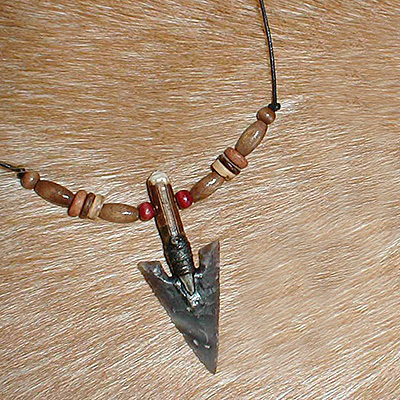 Stained Glass arrowhead Necklace – Flaked from segments of stained glass, these beautifully coloured arrowheads display the skill of flintknapping with a slightly more modern spin. A variety of colours can be obtained, so please feel free to choose your favourite colour. 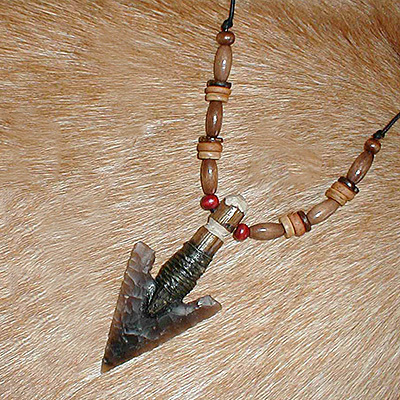 This variation is tied on to a beaded thong. A beautiful gift for anyone! 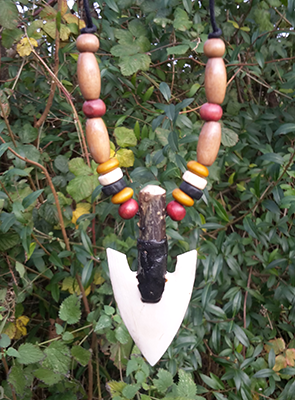 Please note that each necklace is unique and will vary slightly from those illustrated. If you have a specific colour in mind please do contact us. 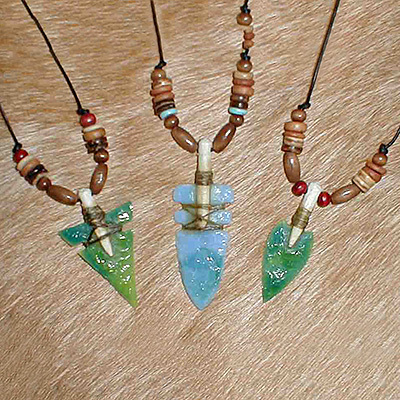 Be the first to review “Stained glass arrowhead in shaft necklace” Click here to cancel reply.